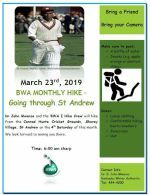 Join the Barbados Water Authority (BWA) and Dr. John Mwansa on the BWA Monthly Hike. Held every 4th Sunday of the month. 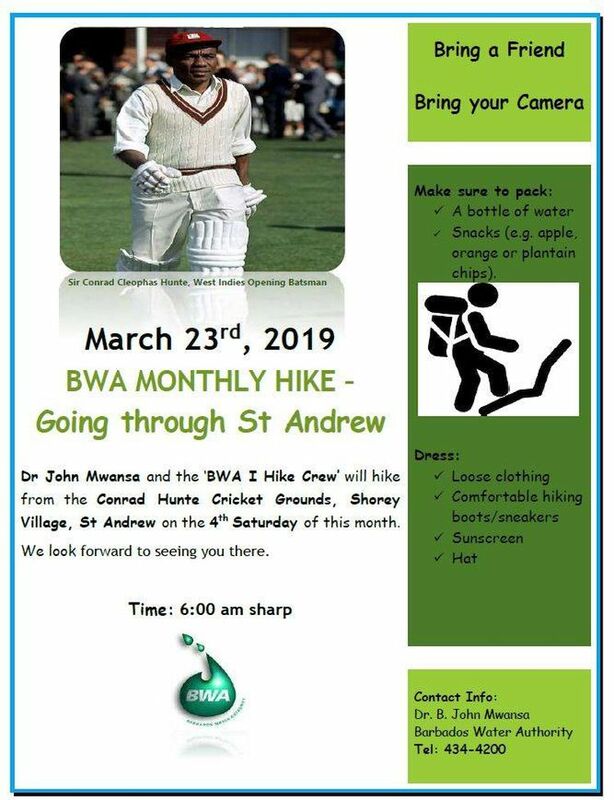 Today's hike will commence at the Conrad Hunte Cricket Grounds. Bring your camera, a bottle of water and some healthy snacks. Dress: Loose clothing, comfortable hiking boots/sneakers, sunscreen, hat.